Every plumber has to be familiar with public utility plumbing. The public plumbing system has a set of strict guidelines it must follow to be up to code, and because of this, individual plumbing doesn’t differ too much. This isn’t necessarily the case on a private well with a septic system. Older systems especially may be set up in an unusual way, and a plumbing company that isn’t familiar with the various differences might be left stumped. But at John’s Plumbing & Pumps, Inc, we know what we’re doing. When you call us for septic pumping and repairs in Tumwater, you’ll get a crew with over 60 years of experience that can handle anything! And our team certainly does. Septic tanks move and treat wastewater differently than city water by separating the liquid and solid waste inside the tank itself. The liquid is able to filter out and move into a designated drainfield. Here, bacteria that could be harmful or cause illnesses are removed as the water goes through the soil. For a more advanced look at how septic systems work, check out what the EPA has to say about septic tanks. Keep an eye out for the signs of a septic problem! Foul odors that you can smell inside your home or outside in your yard. Sewage or sludge that starts to appear in the yard. Sewage is a category 3 level of harmful water, and if you notice it, call us immediately so we can keep everybody safe. Pools or puddles of water, especially if they appear around your septic tank. Sinks, toilets, and other drains that are slow to drain out, even when the drain is open at maximum. What kind of septic tank repairs in Tumwater can you handle? Digging and Excavation. If the pipes are the problem, we may be able to do a trenchless pipe install, but for the tank itself, we have the equipment we need to gain access to it. Septic Pumping. Your drain field can only handle so much. And once it’s full, the water has nowhere to go and your drains stop working. 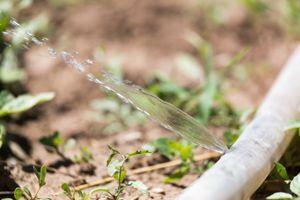 We can pump out the excess water and take care of this issue for you. Replacing broken pieces. 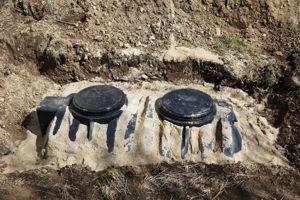 If the septic baffles or any other important piece is broken or stops working, we can locate and replace it. Our experienced plumbers know just what to look for and how to fix them!